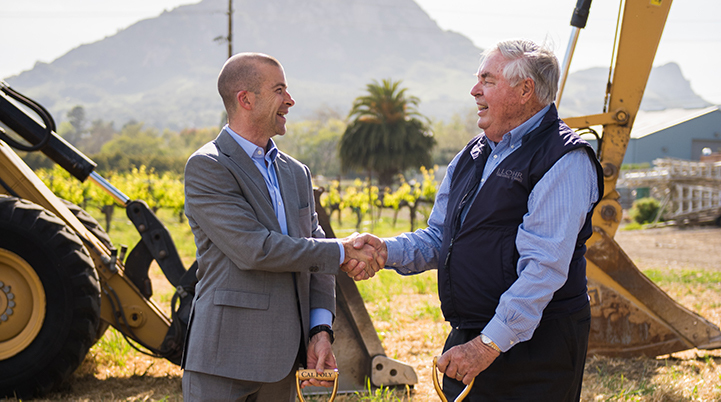 SAN LUIS OBISPO — In recognition of the generosity and philanthropic support of two vital donors to the building of Cal Poly’s Center for Wine and Viticulture, the center will be named the JUSTIN and J. LOHR Center for Wine and Viticulture. Lynda and Stewart Resnick, owners of JUSTIN Vineyards & Winery, a family-run winery that focuses on Bordeaux varieties and Syrah in west Paso Robles, donated $2.5 million to Cal Poly’s campaign to build the Center for Wine and Viticulture. Jerry Lohr of J. Lohr Vineyards, an industry icon also based in Paso Robles, has also committed $2.5 million in funding and will be a co-namer of the Center for Wine and Viticulture. “The local wine community has stepped forward in support of this project, solidifying a partnership with Cal Poly that will not only benefit students for years to come, but provide the rigorously trained talent that the wine industry depends on,” said Andrew Thulin, dean of the College of Agriculture, Food and Environmental Sciences. 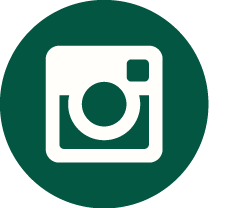 A groundbreaking ceremony, attended by key donors and supporters, as well as Cal Poly leadership, faculty, staff and students, was held May 4. A public event will be held once construction is complete. The JUSTIN and J. LOHR Center for Wine and Viticulture is anticipated to open in late 2019. The JUSTIN and J. LOHR Center for Wine and Viticulture is a donor-funded project that will enhance the Wine and Viticulture program at Cal Poly for years to come. The geographic locale of Cal Poly positions it at the heart of California’s Central Coast – providing students with hands-on access to vineyards and wineries to learn first-hand from some of the wine industry’s top leaders and some of the country’s best winemakers. Students, who benefit from Cal Poly’s philosophy of Learn by Doing, have access to thousands of award-winning wineries throughout the state, providing abundant internship and research opportunities. The JUSTIN and J. LOHR Center for Wine and Viticulture will include both a 15,600-square-foot winery and a 12,000-square-foot grange hall. The buildings will include crush, fermentation, barrel, sensory, bottling, enology and viticulture rooms, as well as teaching and research labs, a bonded winery, offices, and community and industry meeting spaces. Professional partners in the project include TLCD Architecture as the executive architects, Von Raesfeld & Associates as the winery consulting architects, and JW Design & Construction as the contractor. Members of the Cal Poly Wine and Viticulture fundraising committee, comprised of key industry professionals, include: Jerry Lohr, chair, Vicki Carroll, Paul Burkner, Steve Burns, Pat Delong, Dana Merrill and Dennis Stroud. Cal Poly’s Wine and Viticulture program, the largest of its kind in the U.S., provides a comprehensive education that focuses on the three major elements of the wine industry: viticulture, enology and wine business. The program currently has a 14-acre teaching and production vineyard and small pilot winery where students gain hands-on experience in all aspects of the industry, from vineyard cultivation and management to winemaking, marketing and distribution. Located in Paso Robles, JUSTIN® Vineyards & Winery was founded in 1981 and is known for crafting world class wines using Bordeaux grape varieties. Widely recognized for their iconic ISOSCELES Bordeaux blend, JUSTIN is also known for their Cabernet Sauvignon. The property at JUSTIN features a Tasting Room, luxury suite accommodations and a Restaurant – making it one of the only wineries on the Central Coast to offer all three options. In addition to its stellar hospitality offerings, JUSTIN consistently receives top honors around the world, establishing JUSTIN as a leader in luxury Bordeaux variety winemaking. In 2015, JUSTIN was named “American Winery of the Year” by Wine Enthusiast Magazine. JUSTIN wines are available through discerning fine wine retailers and restaurants throughout the United States, or directly from the Winery via JUSTIN’s Tasting Room, on-line store or to members of the exclusive JUSTIN Wine Society wine club. To discover more about what makes JUSTIN so unique, visit www.justinwine.com. Founded more than four decades ago by Jerry Lohr and still family owned and operated today, J. Lohr Vineyards & Wines crafts a full line of internationally recognized wines from its 3,700 acres of sustainably farmed estate vineyards in Paso Robles, Monterey County’s Arroyo Seco and Santa Lucia Highlands appellations, and St. Helena in the Napa Valley. Offering an expressive range of styles, J. Lohr produces five tiers of award-winning wines, showcasing its estate fruit – J. Lohr Estates, J. Lohr Vineyard Series, J. Lohr Cuvée Series, J. Lohr Gesture, and J. Lohr Signature Cabernet Sauvignon. J. Lohr’s Signature Cabernet Sauvignon recently won the Grand Champion Best of Show against 2,188 other wines at the 2018 Houston Livestock Show and Rodeo International Wine Competition. To learn more about J. Lohr Vineyards, visit www.jlohr.com.